Almost exactly one year ago, Jordyn Wieber stood in a courtroom and testified against Larry Nassar, telling her story of surviving his abuse. Today, the gold medal-winning Olympic gymnast stood at another podium in front of an entirely different audience as she accepted a Voices of the Year Award. 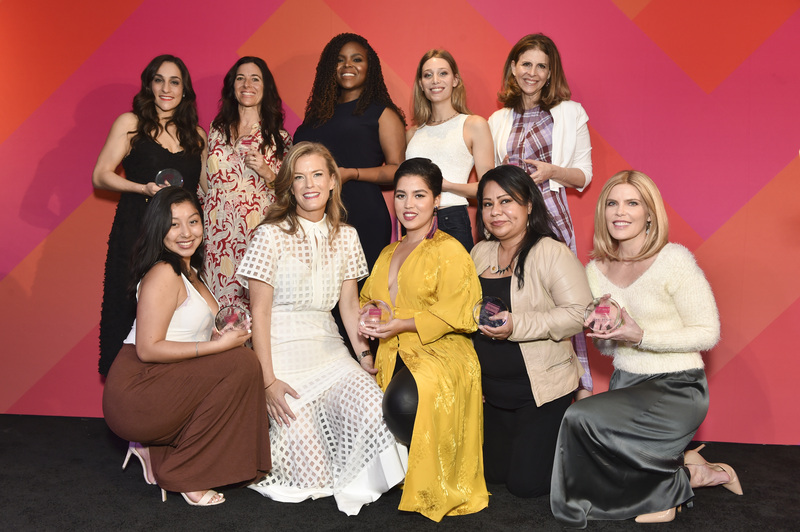 The VOTYs honor women with some of the strongest voices of the past 12 months and were hosted by SHE Media CEO Samantha Skey at #BlogHer Health 2019 in Los Angeles. Wieber said she decided to speak out about her experience with Nassar because of the serious child abuse problem in gymnastics. In addition to Wieber, this year’s crop of VOTY winners represents a diverse group of amazing women, including activists, performers and politicians, all of whom have made a huge impact in the past year. Each of this year’s honorees identified societal problems and, rather than sitting on the sidelines, decided to actively make change. For instance, when Aja Brown saw that Compton, California, could benefit from a new, revitalizing voice in politics, she ran for mayor and won — at the age of 31. Corey Rae, another VOTY winner, wanted kids who are transgender to be able to see other people like themselves, so she started working as an activist and writer, including as a columnist for StyleCaster. And when The Good Place actor Jameela Jamil saw an Instagram post valuing women — in this case, the Kardashians — based on their weight, she started the I Weigh movement, which encourages people to reconsider their own worth outside their physical appearances. Following the loss of her brother, Edna Chavez became one of the leading voices of the student-led movement against gun violence and gave one of the most memorable speeches at the March for Our Lives. We’ve been fortunate to have documentarian Amy Ziering speak at two previous #BlogHer events, and this year, she came back as a VOTY recipient. Earlier this year, her latest film, The Bleeding Edge, was released on Netflix to critical acclaim. The film immediately shed a light on the largely hidden world of the regulation of medical devices. One of the women featured in the film, Ana Fuentes, also received a VOTY for having the courage to share her story in the hopes of helping to ensure other people are not affected by faulty medical procedures and devices. Other VOTY winners have used their art to advocate for others, including Amy Stanton, who challenged the misconceptions surrounding womanhood in her book, The Feminine Revolution, coauthored by Catherine Connors; Jenny Belin, who has painted some of the most inspiring women in the public eye; and Jenni Ottum, the senior director of public relations at SHE Media, who blogged about her lymphoma diagnosis and treatment. Sarah Jones, a Tony Award-winning writer and performer, received a VOTY award for her strong voice and advocacy through her creative projects. Lastly, VOTY winner Melanie Santos has shared her own powerful experience living with anxiety and depression to help other people recognize that it’s possible to live a full and meaningful life with mental health issues. Congratulations to all the VOTY winners!